Swedish casino game developer NetEnt is launching a new blackjack game ‘Perfect Blackjack’ with Grosvenor Casino thanks to a deal that they’ve signed with the Rank Group. Perfect Blackjack is tailored for players who know what they’re doing with the game, rewarding those who use blackjack strategy. The game has a posted return to player percentage (RTP) of 99.5%, matching the edge that house has when a punter uses good strategy. 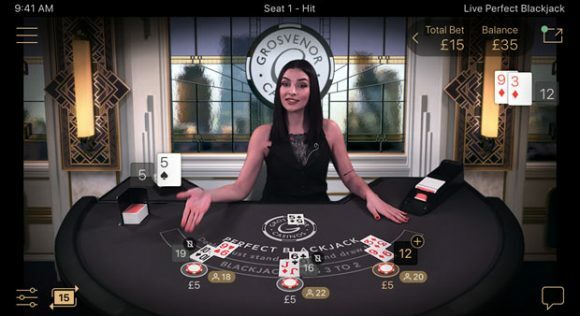 The game is a live dealer style, allowing punters to be dealt hands in real-time. The game will initially be offered exclusively at GrosvenorCasinos.com before being deployed at more sites at a later date. The game deals out cards automatically, and punters can auto-split or double down in regards to blackjack strategy. Additionally, players can play multiple seats at a time and participate with other gamblers at the tables. The game will be showed off at the ICE Expo in London this week and will be launched shortly thereafter. I love NetEnt’s live dealer games, and if this one caters to those of us who use strategy, it’ll be one that I play frequently.